"Mondes Multiples – Many Worlds, many Minds"
From 18 January to 31 March 2019, the Centre des arts in Enghien-les-Bains presents the exhibition Mondes Multiples. Many Worlds – Many Minds with Flavien Théry’s works and a selection of holograms from the Musée de l’holographie collections. Mondes Multiples. Many Worlds – Many Minds offers an exploration through light and visual and sensory experiences, revealing the atmosphere of phenomena from our surrounding. The visual artist Flavien Théry’s research is part of a convergence between the Optical Art movement and new media, with a particular focus on the links between art and science as they question the nature of reality, and of light in particular. Visual perception becomes the very material of Théry’s work, using various devices to challenge the viewer with multiple truths. Light and colours then offer many different scopes for experiments that test our vision and question our beliefs with regards to what we call real. A selection of holograms from the Musée de l’holographie collections takes this reflection on perception further. 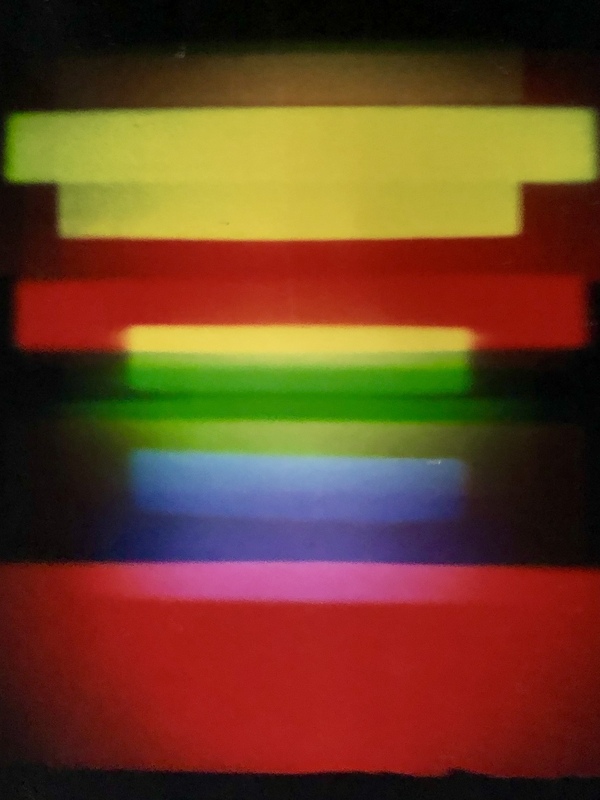 Created in 1980, on Anne-Marie Christakis’s initiative to promote holography, the museum’s collections are unique in their wealth and diversity. The title of the exhibition is an interpretation of the relative states of the American physicist and mathematician Hugh Everett, putting the issue of the point of view at the core of his reflection: he integrates the relativity of what is observed in relation to the viewer and his/her location. Thus, the double theory of multiple worlds (many worlds) and multiple observers (many minds) attempts to bring together several realities.